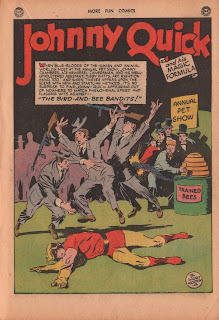 From Mar/Apr 1945, "The Bird and Bee Bandits!" Pencils and inks by Meskin on this one. 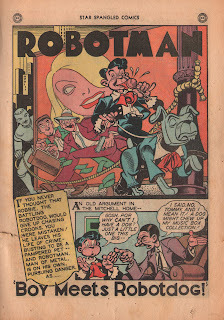 From October 1942, "The Blackout Blues". 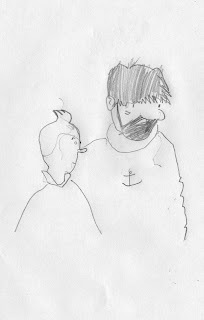 Inks by George "Inky" Roussos. If you've enjoyed this one, head over to Comic Book Attic, where you can pick up some sweet digital Robotman collections, cheap! 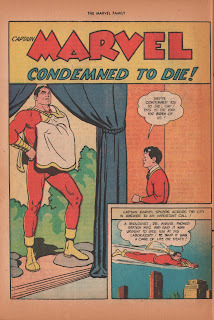 Captain Marvel: Condemned to Die! The funnybook has a wicked spine roll, sorry about those panels falling into the gutter! 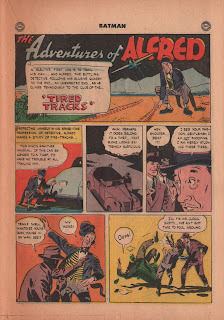 From Batman #34, Apr/May 1946. 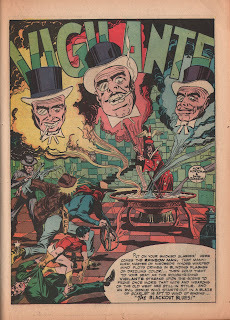 Pencils and inks by Robinson, Lettered by Inky Roussos.